The work of John Rezner, the American Sports Art Museum and Archives (ASAMA) 2011 Sport Artist of the Year, Ceramics, is on sale at the United States Sports Academy. Jugs can be purchased at the Academy’s Daphne campus, at One Academy Drive, between 8 a.m. and 5 p.m. Monday through Friday. The Fairhope, Ala.-based artist known for his “face jugs” makes pottery that is seen all over the world from clay he digs from his own land. Baldwin County clay is highly prized for its aesthetic qualities. 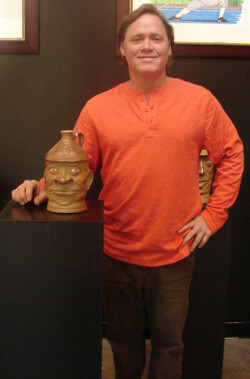 A member of the Academy’s Art Committee, Rezner created a face jug – a jug shaped with an individual’s facial features – of the Abbot of the Shaolin Temple, leader of millions of Shaolin Buddhists. Face Jugs are a unique pottery item found in the South. The origin of face jugs is not know for certain, but has its roots in the African American slave community. Some of the earliest examples are credited to “Dave the Slave,” who produced pottery from the 1820’s to the 1860’s in the Edgefield, S.C. area. Folk history holds that when someone in the slave community died, the jugs were modeled with devil faces and placed on the grave for a year. If the jug broke it was thought to be a sign that the soul of the deceased was wrestling with the devil. A second theory is that the scary faces were applied to jugs containing moonshine to keep children away from the contents. Face jugs are still a widely collected form of pottery and are growing in popularity due to influential works by the legendary Lanier Meaders (White County, Ga. 1917 – 1998) who was descended from a family of potters. Another such potter, Steve Abee of Lenoir, N.C. belongs to the Catawba Valley, N.C. pottery tradition. Rezner has now been commissioned to make face jugs of famous baseball players for the Academy’s “Mr. Baseball” campaign, a world-wide online vote to name a new baseball statue that is to be erected in front of the Academy next year. Some of those works, including jugs depicting Hank Aaron, Babe Ruth and Ted Williams, are already on display at the Academy. The baseball statue is being created by another Fairhope artist, Bruce Larsen, whose “found object art” can be found on display in four statues outside on the Academy’s Daphne campus. The nomination process for naming the statue will continue until 1 April.  Nominations can be submitted by logging on to http://ussa.edu/ballots/greatest-baseball-player-of-all-time-nominations. The top ten nominees will be listed on a world-wide online ballot beginning on 1 April and continuing until the winner is announced on 12 July, the day of the Major League Baseball All-Star Game.